Tropico 5 continues the legacy of the series with a management and construction simulation game centred on city building. The game doesn’t step out of the Tropico formula too much, offering just enough new content to get old fans excited without moving away from the gameplay you’ve come to love. One of the greatest additions to the Tropico franchise is the introduction of co-operative and competitive multiplayer that lets you jump onto an island with up to three other players to work together or crush them instead. Staying true to the past games in the series players have great control over the history of the country that they (hopefully) lead to victory. From creating your El Presidente to the writing up of your constitution and various laws, players are in complete control. 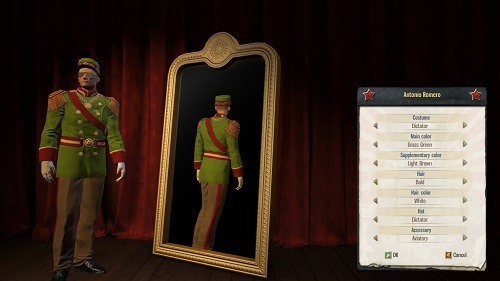 It’s a mixed bag of change in Tropico 5 with some features completely cut (most notably in the avatar creation screen) while other areas of the game have seen plenty of depth added. This is most evident in the era and dynasty systems that have been introduced into the game. With the era system players will take their country through the colonial era, into World War II, beyond the cold war and finally into modern times. It’s a steady progression with each era presenting its own challenges to overcome. Meanwhile the dynasty system lets you create a legacy through your family as you place them in key positions and train their own skills so that they become a powerful asset. 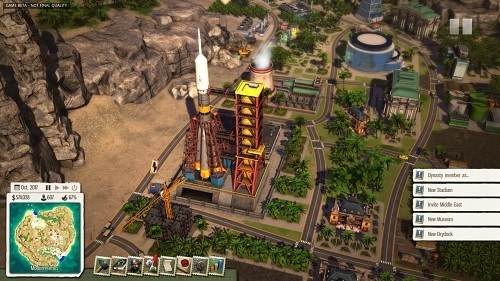 Players will also find that the trade and research elements of the game have received some attention that leads to more building choices as you advance through the eras. With the impressive list of variables that players can control in the sandbox mode (map, starting population, disaster frequency, economic difficulty and more) combined with the improved multiplayer functionality Tropico 5 promises plenty of great gameplay ahead. New additions improve on the gameplay of the series. Create a dynasty that will last through the eras. Devise a constitution and create your country. Play the campaign, sandbox mode and multiplayer.